To prevent taxpayer's from being forced to fund London, Ontario's bid for the 1991 Pan Am Games, Marc Emery, Freedom Party of Ontario, and the No Tax for Pan Am Committee (founded by Emery and by Freedom Party president Robert Metz, who was the Committee's Chairperson) published and distributed a number of flyers, guides, and newsletters to inform the public. 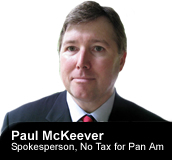 The five issues of the No Tax for Pan Am Committee's newsletter continue to provide loads of history concerning other sports events that have been funded with taxpayer money, that have lost money. Each such event has left the taxpayer with a bigger debt, and long-term payments of interest, as well as ongoing maintenance costs and other fiscal catastrophes. The newsletters are a great source of information for those who want to know the facts. The Ontario taxpayer will be on the hook for any cost over-runs of the 2015 Pan Am games. The newsletters, guide, and flyer are all sure to provide you with all the information you need to convince others that it is wrong to make taxpayers pick up the tab to host the 2015 Pan Am Games in Toronto. After reading about the experiences of other cities with similar events, check back with notaxforpanam.com as we continue to oppose the McGuinty government's plan to stick Ontario taxpayers with the cost over-runs. Politicians read the letters that Canadians send to their local newspapers. Write to your newspaper(s) today, and tell them, with three sentences, why you and other taxpayers should not be forced to pay for the City of Toronto's bid to host the 2015 Pan Am Games. Note: Click here for letter writing tips that will help ensure that your letter gets published. Remember: include your name, address, and telephone number, so that the paper can contact you if it needs to do so. 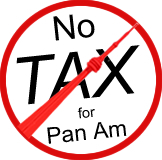 No Tax for Pan Am (Toronto, 2015) is a grass roots community initiative launched on August 24, 2009 by Freedom Party of Ontario and Freedom Party of Canada. 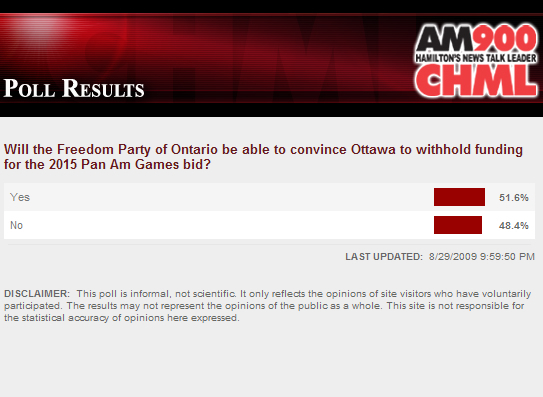 Authorized by Freedom Party of Ontario.